Among sectors, the Nifty FMCG index was the top loser of the day, falling 1.69 per cent weighed by ITC and United Spirits. The benchmark indices settled nearly 1 per cent lower on Wednesday led by a selloff in shares of fast-moving consumer goods (FMCG) major ITC. The S&P BSE Sensex fell 336 points or 0.92 per cent to settle at 36,108 while NSE's Nifty50 index ended below 10,850 level at 10,831.50, down 91 points or 0.84 per cent. In the broader market, S&P BSE MidCap index fell 42 points or 0.28 per cent at 14,883, while S&P BSE SmallCap index ended at 14,309, down 22 points or 0.16 per cent. Shares of ITC fell 4.75 per cent lower at Rs 276 on the National Stock Exchange (NSE) even as the company posted a 3.84 per cent year-on-year (YoY) rise in its net profit at Rs 3,209.07 crore for the quarter ended December 31, 2018. It had posted PAT of Rs 3,090.20 crore in the corresponding quarter of last financial year. Shares of Wipro hit a near two-decade high of Rs 355.45 apiece in intra-day trade, gaining 2 per cent on the BSE, as analysts expect the company to post better revenue growth in FY20 led by continued momentum in large deal wins, robust digital growth and continued growth in BFSI (banking, financial services and insurance) and other verticals. The stock of IT services firm was trading at its highest level since March 8, 2000. The stock eventually settled at Rs 351.20, up 1.37 per cent. Asian stocks trod water on Wednesday as concerns over the outlook for global economic growth and the ongoing Sino-US trade war kept investors away from riskier assets. MSCI's broadest index of Asia-Pacific shares outside Japan dipped 0.15 per cent, stalling after climbing to a seven-week high on Monday. The Shanghai Composite Index was last down 0.15 per cent, having flitted in and out of the red. Australian stocks lost 0.25 per cent and Japan's Nikkei shed 0.1 per cent. Oil prices were steady on Wednesday on hopes that increased Chinese spending would stem an economic slowdown that is showing signs of spreading and has been weighing on financial markets. International Brent crude oil futures were at $61.49 per barrel, virtually unchanged from their last close. US West Texas Intermediate (WTI) crude futures were at $52.98 per barrel, 3 cents below their last settlement. 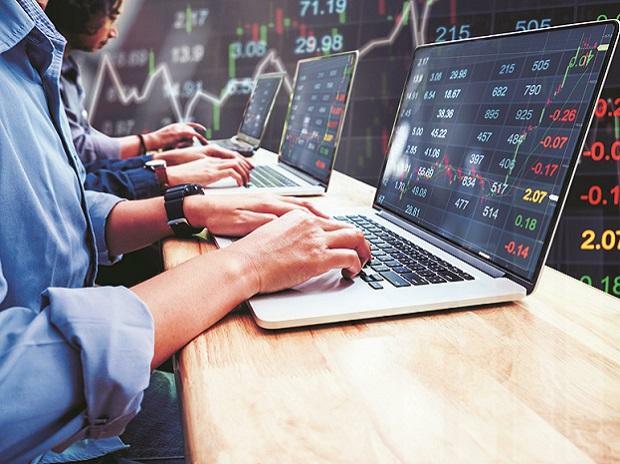 Market at close The S&P BSE Sensex falls 336 points or 0.92 per cent to settle at 36,108 while NSE's Nifty50 index ended below 10,850 level at 10,831.50, down 91 points or 0.84 per cent. COMMENT Kotak Securities sees a rate cut soon We expect the RBI to cut rates by 50 bps in 1HCY19 given the muted growth-inflation outlook. The RBI will probably first change its stance to ‘neutral’ in February and follow it up with rate cuts as inflation is expected to stay below 4% until August 2019. The RBI, however, will be watchful of DM monetary policies and crude price movements. While volatile crude oil prices and concerns on fiscal slippage may warrant some caution, the seemingly structurally benign food inflation along with softening growth (in 2HFY19) should help in capping the upside pressures, thereby creating space for the RBI to cut rates by 50 bps in 1HCY19. INTERIM BUDGET EXPECTATIONS Motilal Oswal Institutional Equities Although the full budget later this year will hold more significance (as the numbers may change with the new government), the forthcoming interim budget may well offer a glimpse of what lies ahead as market participants seek answers to some crucial questions: Will the government increase rural spending and turn populist? Will such populist spending be an annual occurrence or a one-time event? Will the salaried class enjoy any relaxation or will the large companies see lower corporate tax rates at 25%? What would happen to the capital spending of the central government? Will politics of the day allow the center to follow the path of fiscal consolidation?